At Manchester Tints we insist on only using the highest grade tinting films, this combined with our professionally trained installers and years of experience means that we can guarantee a high quality, long lasting automotive window tint for almost any vehicle. All window tint installations are undertaken at our fitting unit in Manchester in a specially made fitting bay with a low-dust covered environment. We now have 2 locations in the North West where we can install window tints in the correct controlled environment. Our first location is in Astley, Manchester and the second new window tint installation centre is in Stockport. We stock a variety of premium window tint films in different tint strengths, these range from 80% visible light transmission (subtle tint) up to 5% visible light transmission (limo black). If shielding your passengers from the sun is a concern then our window tint films are perfect for you as all of our window tint films reject over 99% of UV rays, even if you opt for the lightest tint shade. The final price may be higher or lower depending on your exact make & model, cars with difficult to access areas can lead to longer installation times and therefore increased labour costs. Our prices are the same no matter which shade of tint you require, so Call today to get a formal quote for tinting your car. We regularly add privacy window tinting to new cars direct from the dealership, our clients include Mercedes Manchester, Honda Swansway Manchester, Smart Manchester, RRG Toyota and many others. Our work is of a factory spec standard that can be done before you take delivery of your new vehicle. 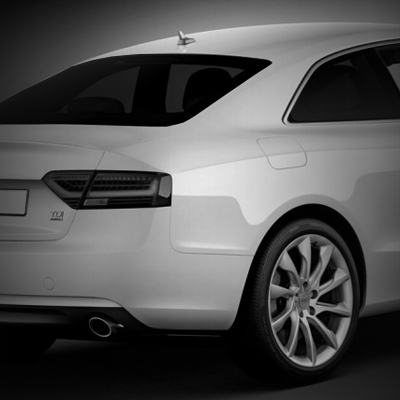 In addition to offering car window tints we also offer headlight tinting and taillight tinting. Headlight and taillight tints are an often overlooked way to transform the styling of a car for a relatively low cost.We offer fully legal light tints using a perforated film as well as show car light tints using thicker Lamin-X vinyls. Our perforated headlight tints allow over 90% of light transmission while giving a subtle tinting effect the the front or rear lights when viewed from a distance. Our Lamin-X products cover the whole headlight (or taillight) in a coloured tinting film that allows less light transmission but gives a stronger tinting effect. Lamin-X headlight tints & taillight tints are available in several colours (including red, orange, yellow & blue) as well as several different shades of black tint (Tint-lightest, Gunsmoke-med, Smoked-med-dark, Charcoal-dark). The exact cost for our headlight tints depends on the colour/tint-shade required and the vehicle however most vehicles on a Charcoal-dark tint are £95 for a set (either headlights or taillights) or £150 for the front & back. Keep an eye on our Facebook page & Twitter account for Special Offers and upcoming Discount Days for both window tints and headlight/taillight tints.